Veteran talk host and hip hop personality Wendy Clark, better known by her air name Lady B, will be returning to radio. On Monday, in the Mayor's Reception Room at City Hall, the Philadelphia native announced her new radio home on WPPZ-FM (Classix 107.9). Lady B will make her debut on Monday, February 11 and will air each Monday through Thursday from 9am-3pm. On Fridays and Saturdays, she'll host "Basement Party" mix with DJ Touchtone from 6-10pm. Radio One VP/Programming Colby Tyner said, "Philly is known for Cheesesteaks, Pretzels, the Eagles and Lady B. She is one of the most dynamic voices the city has ever had. She is beloved and the city we are excited to have her back in the Radio One family." Lady B commented, "I'm so blessed, excited, and appreciative that OUR voice is coming BACK to the airwaves." about her return. Lady B is an American rapper and radio talent from Philadelphia. She is one of the groundbreaking female rappers in hip hop, and was one of the first to record a single "To the Beat Y'all," the title of which became a stock rap phrase. "To the Beat Y'all" was first released by TEC, a local Philadelphia-based record label, and released again in 1980 by Sugar Hill Records. As one of the first DJs to play rap records on the radio outside New York, Lady B played artists such as Will Smith and Soulsonic Force at the start of their careers. 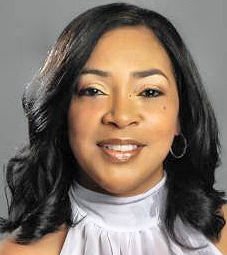 In 1984, Lady B moved to Philadelphia's Power 99 FM and started the program The Street Beat, which ran until 1989. In 2002 she received the "Philly Urban Legend Award." She later broadcast for SiriusXM and has also worked for WRNB/Philadelphia until December, 2017.